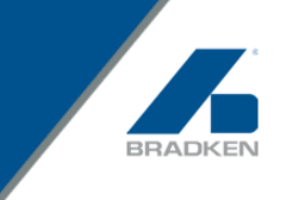 Bradken, Australia’s largest combined foundry and heavy engineering group, has announced the appointment of Mr Paul Zuckerman as Chief Executive Officer of the company, effective from 1 March 2016. Mr Zuckerman, who most recently was Chief Executive of Fletcher Building Limited’s Laminates and Panels Divisions, brings significant management and leadership experience to Bradken, having previously occupied senior roles within the steel industry in Australia, New Zealand, USA and China with companies such as Fletcher Building, Bluescope and BHP. “We are delighted to have secured Paul’s services. He brings a valuable mix of global commercial experience and strength in business development with manufacturing oriented companies,” said Bradken Chairman Phil Amall. Paul Zuckerman thanked the Bradken Board for the opportunity and said he was confident that the company would continue its growth under his stewardship. “I am looking forward to joining the Bradken family and working alongside the more than 3,500 people who serve our customers,” he added.